After almost two years of planning and preparation 20 flag poles and flags were unfurled at the Katanning Lions Park on 18 March 2016. The poles proudly display some of the diverse nationalities living in town. 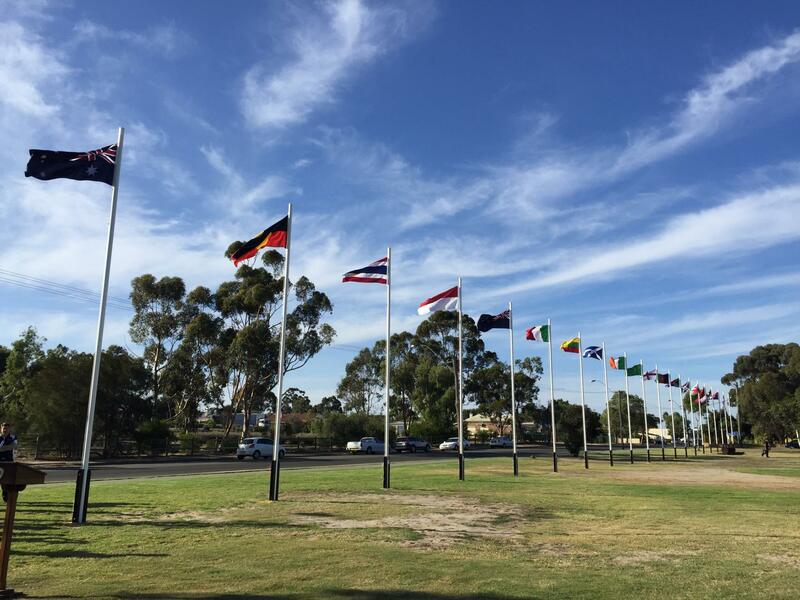 The Fly Your Flag project was developed by the Katanning Action Network and the poles and installation funded by the Great Southern Development Commission, Shire of Katanning and Katanning Lion's Club. The flags were sponsored by community members. More than 20 flags were donated so the flags will be rotated every March and September. The Australian and Indigenous flag will remain permanently.